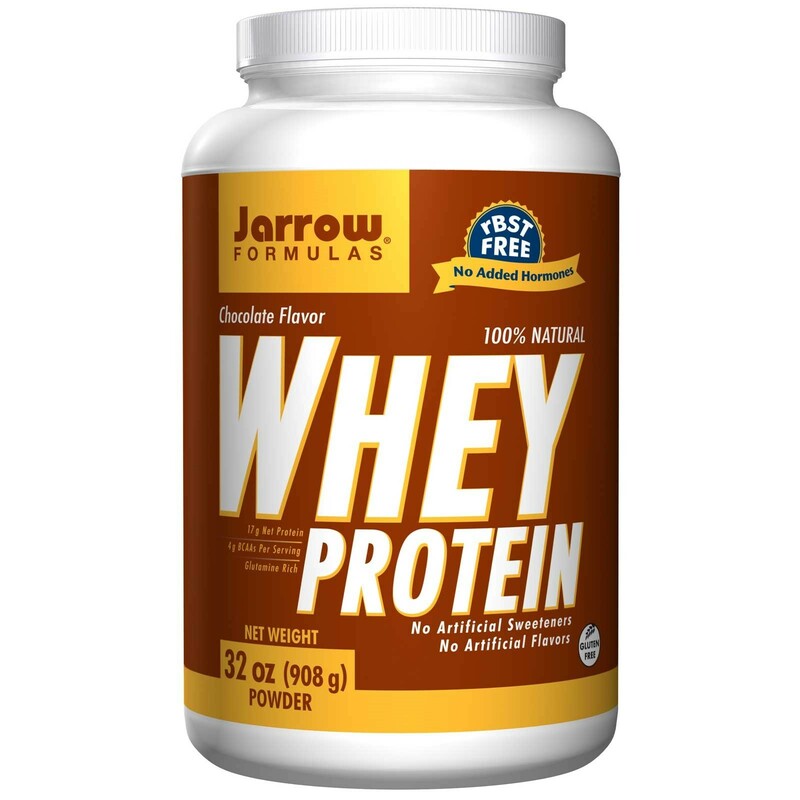 100% ultrafiltered whey protein from milk, fructose, natural cocoa powder, semi-sweet chocolate, lecithin (from soy), guar gum, fibersol-2 (resistant maltodextrin), natural flavor and Lo Han Guo (momordica grosvenorii). Contains: No artificial flavors or artificial sweeteners. 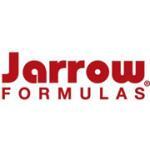 Jarrow Formulas Whey Protein is a 100% natural protein concentrate of whey, from cows not treated with growth hormone (rBST), and is ultrafiltered to be low in fat, LACTOSE(MELK) and carbohydrates. Whey Protein is a rich natural source of Branched Chain Amino Acids (BCAAs) (Isoleucine, Leucine and Valine). 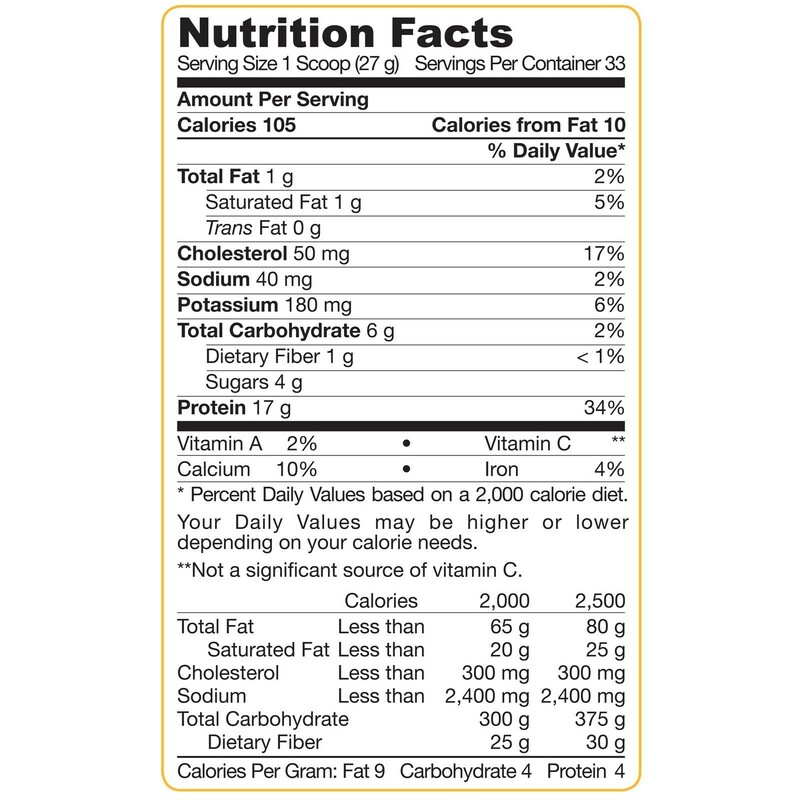 Each scoop (27 g) of Whey Protein provides a total of 4 g of BCAAs. No other source of protein provides as much of the BCAAs as whey. Nothing artificial; No artificial flavors, sweeteners or colors. 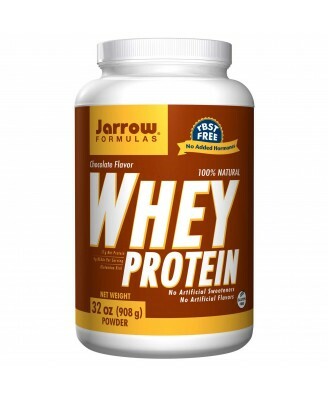 Mix one level scoop (provided in container) of 100% natural Whey Protein with 4 to 6 oz. of cold water, soy, milk, juice or your favorite beverage. For a protein smoothie, blend with crushed ice and add juice or fruit to taste. May be also be used with cereals, yogurt or pancakes to increase the protein in the diet. Whey Protein is not a complete nutrient source and should not be used exclusively for weight loss. This product contains no added L-Tryptophan. Packaged by weight, not volume.